We’ll go adding blurbs and links to any media coverage the comic receives here. City, University of London News item by John Stevenson: “Comics and dementia care research”, 20 October 2017. 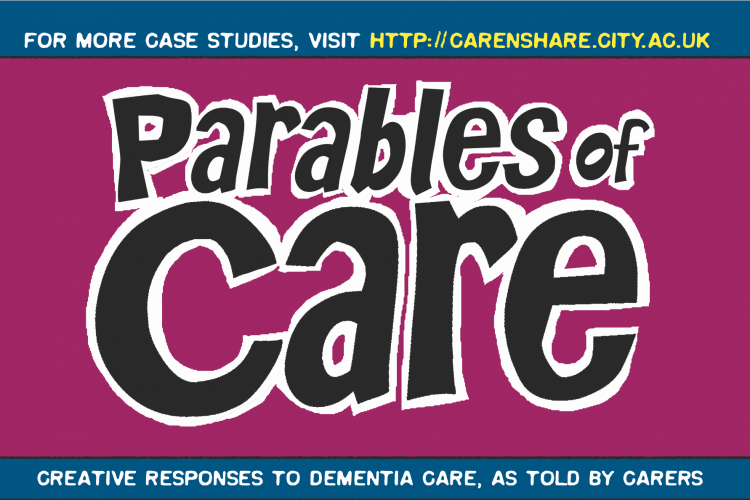 Parables of Care co-creator and illustrator Dr Simon Grennan talked recently to The Elder Magazine on challenging our expectations of what comics are, and the form’s power to present complex information in an accessible way and inspire an emotional response. Following our release of the German version of Parables of Care on 24 January 2019, The University of Chester Forum Magazine, March 2019, published a one-page piece about it, on page number 8, with the title “Creative responses to dementia care now available in German” [PDF].